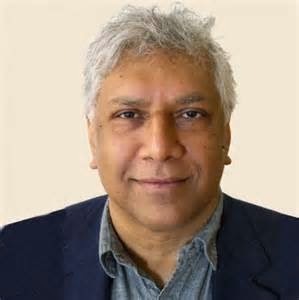 India-born poet Vijay Seshadri has won the prestigious 2014 Pulitzer Prize in the poetry category for his witty and philosophical collection of poems while The Washington Post and Guardian were awarded for their reports on America's secret global surveillance programmes. Seshadri won the Pulitzer, considered the most prestigious awards in journalism, for his work '3 Sections' which is a "compelling collection of poems that examine human consciousness, from birth to dementia, in a voice that is by turns witty and grave, compassionate and remorseless." The 98th annual Pulitzer Prizes in Journalism, Letters, Drama and Music, awarded on the recommendation of the Pulitzer Prize Board, were announced yesterday by Columbia University. A Columbia University alum, Seshadri, 60, would receive a USD 10,000 prize. Born in Bangalore in 1954, Seshadri came to America at the age of five and grew up in Columbus, Ohio. He became the fifth person of Indian-origin to bag the prestigious prize.